If you have wounds on your feet, it doesn’t matter whether they’re caused by a traumatic injury or from a complication of diabetes, finding a doctor who knows how to handle wounds safely and efficiently is a must. Podiatrist Dr. Joe Griffin, CWSP, FAPWCA, is board certified in wound care and offers a full range of wound care treatments to help your wound heal as safely and quickly as possible. Located in Daphne, Alabama, Coastal Foot Center is the place for wound healing. Call the office today to schedule your appointment or book easily online now. Foot ulcers are wounds on the skin that take a long time to heal. They’re often found on the bottom of your foot where the skin becomes calloused. A separation occurs between callous layers and fills with fluid. That can lead to an infection and is the cause of many foot ulcers. When you have a foot ulcer, Dr. Griffin may classify it depending on its severity. Why are diabetics prone to foot wounds? Diabetes is a chronic condition that leads to an increase in blood sugar, or glucose, levels. When these levels remain unstable for long periods of time, damage can occur in other areas. A typical diabetic condition is neuropathy, which is caused by nerve damage and limits sensations in your feet. Neuropathy can cause issues with sweat secretion and oil production, compromising your skin and making it more likely to break down and develop sores. When neuropathy is severe, these sores may not be felt and if left untreated, can lead to severe consequences, such as losing a toe, foot, or even your leg. How are foot wounds treated? Dr. Griffin uses preventive measures to stop injuries from progressing and may use antibiotics to treat infections. In severe cases, debriding -- removal of dead, damaged, or infected tissue -- may be necessary. 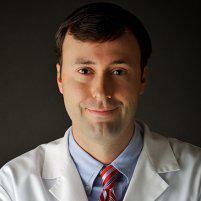 For difficult chronic wounds, Dr. Griffin commonly performs in-office skin-grafting, surgery, total contact casting, and other offloading techniques. If you have a foot wound, you want a doctor with experience and know-how. Call to schedule your appointment with Dr. Griffin, a board-certified wound care specialist, or book your consultation online now.